She’s Puerto Rican and Proud of it: New York’s 14th district in the past has had leaders that do not represent the demographics of their constituents. Ocasio-Cortez presents change and is finally giving young men and women a leader that they can look up to and a leader that they know will fight for them and their unique struggles as people of color. She can’t afford D.C. rent: ISN’T THAT REFRESHING! As a working-class woman, Congresswoman Ocasio-Cortez will be a leader that can relate to the struggles many people in her district face. She has worked as a bartender and a waitress and kept her waitressing job up until the final months of her campaign. She promises to make higher-education free and healthcare more accessible because she understands what it’s like to be in the shoes of her constituents. I am sick of people using this as a punching line or a joke. Americans, just like Ocasio-Cortez, are facing real problems like this every day and deserve a leader who is not ashamed of their background and is willing to fight for them. She doesn’t take money from Lobbyists: I feel like every week we find out some leader has fallen prey to organizations like the NRA who they give support to in exchange for money. Ocasio-Cortez is running a new type of campaign. She is refusing to bow to special interests that don’t serve her people. It is rare to encounter a politician who cares more about their people than the money and who is willing to run a fair campaign based on their own merits and not the money of lobbyists. Her campaign is for ALL Americans: She has pledged her support for the LGBTQIA+ community, Women, the Latino Community, the Native American community, Immigrants, Disabled Peoples, Senior Citizens, African-Americans, the working class, the poor, the marginalized and countless other groups (I could go on all day). It is clear from her campaign that she wants an America that is truly for all and not just the few. Whether that means ending private prisons, endorsing the Dream Act, or making pre-natal care affordable she is willing to make the bold moves everyone else is afraid to take. 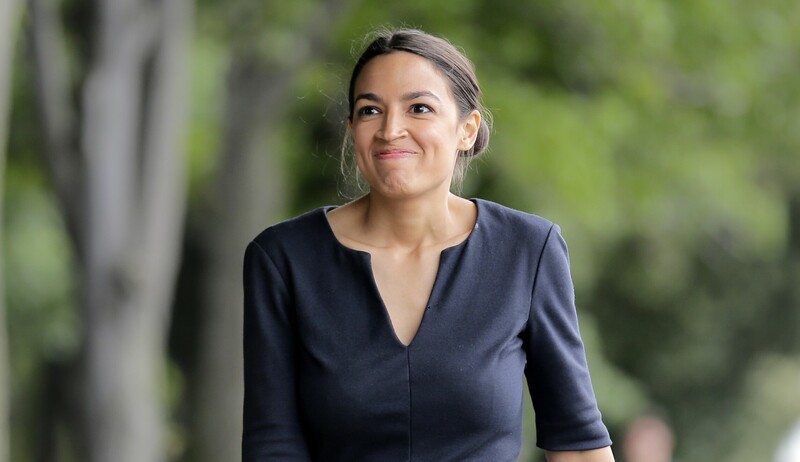 In the current day climate of hate, we need more women like Ocasio-Cortez. Congratulations Congresswoman!